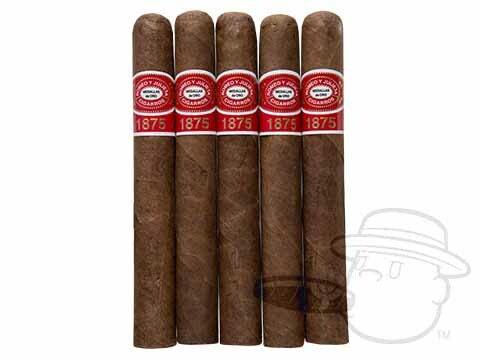 The Romeo San Andres Toro By Romeo Y Julieta is tagged with free shipping. If you order this product, your entire order will receive FREE BCP Ship Saver shipping! A full-bodied blend blessed by the magic touch of industry icons A.J. Fernandez & Rafael Nodal, the Romeo San Andres by RYJ delivers rich character backed by formidable strength and accompanied by a delicious, enticing aroma. Showcasing an oily San Andres leaf over dense Nicaraguan binder and finely aged Dominican and Nicaraguan filler tobaccos, the Romeo San Andres conveys a balanced ensemble of spicy dark chocolate, sweet earth, dark fruit, and creamy roasted nut tasting notes over the course of a slow, even burn. Simply put, it's an out-of-the-park home run hit for the maduro crowd, grab yours here at the lowest prices possible. Good strong everyday smoke. I enjoy the good burn and robust taste. Definitely recommend. 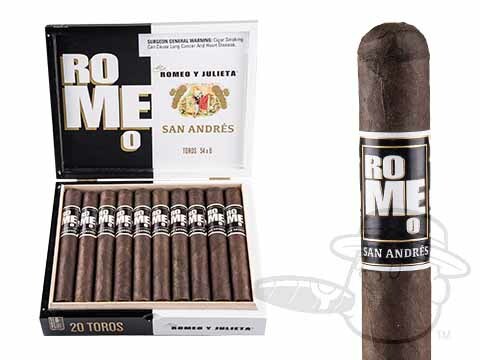 Romeo San Andres Toro By Romeo Y Julieta is rated 5 out of 5 based on 1 customer ratings.